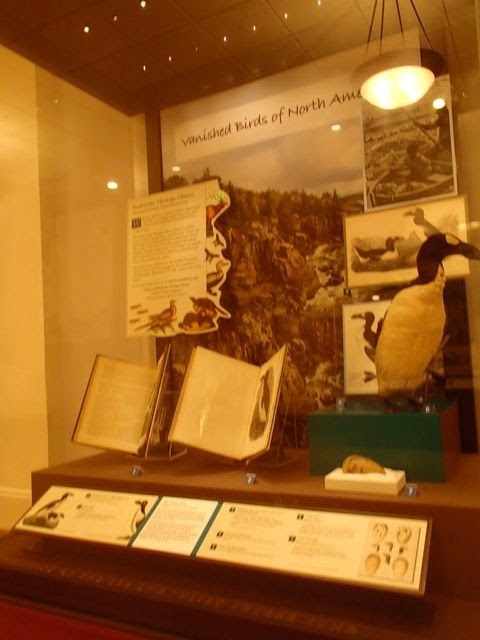 "Once There Were Billions: Vanished Birds of North America" is an exhibit about some of the birds that have gone extinct from North America including the great auk and passenger pigeons. Mik found it interesting; but he ended up more impressed by the Birds of D.C. exhibit on the way to the elevators and he was impressed to see the different birds that can be seen around here. 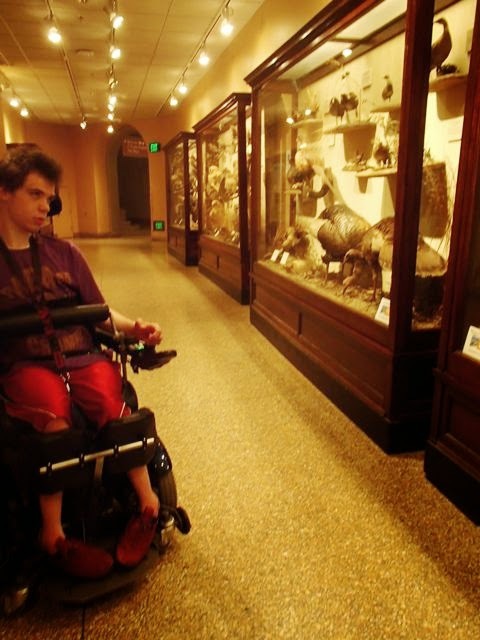 I had seen it before; but I forgot he has never been to this museum other than the IMAX and also hasn't been to the Field Museum. Accessibility Note: The accessible entrance to the museum is on the Constitution Avenue side of the building. The Smithsonian Metro is usually recommended for the museum; but we find Federal Triangle (Blue, Orange, Silver) and Archives (Yellow, Green) more convenient since the elevator exit for Smithsonian is on opposite side of the National Mall.